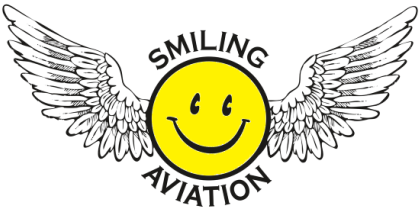 Smiling Aviation - Welcome to Smiling Aviation! Located at Delta Blake Field, Smiling Aviation is the place to be for general aviation. With our new GPS approach, and great avgas & jet fuel prices, what else could you want? 24 hr restrooms or a courtesy car? We have those! Hangar space or airplane rentals on your mind? We offer that too. Curious about our weather? We have over 340 VFR days a year. Fly in! We'd love for you to visit us anytime. Need a mechanic? We founded our business on quality maintenance for the general aviation market. We can do inspections, repairs or modifications for all types of piston-powered aircraft including Cessna, Piper, Beechcraft, and many others. With a full staff of IA & A&P mechanics, we are always available to do your aircraft repair. We're also experienced in many modifications, including STOL kits, tip-tank installations and windshields. We’re here to serve all your GA repair needs! Give us a call and find out how we’ve been building our reputation one satisfied customer at a time. If you're interested in learning to fly or aircraft rental, give us a call or check out the info on our services page. Photos and updates on our blog below!